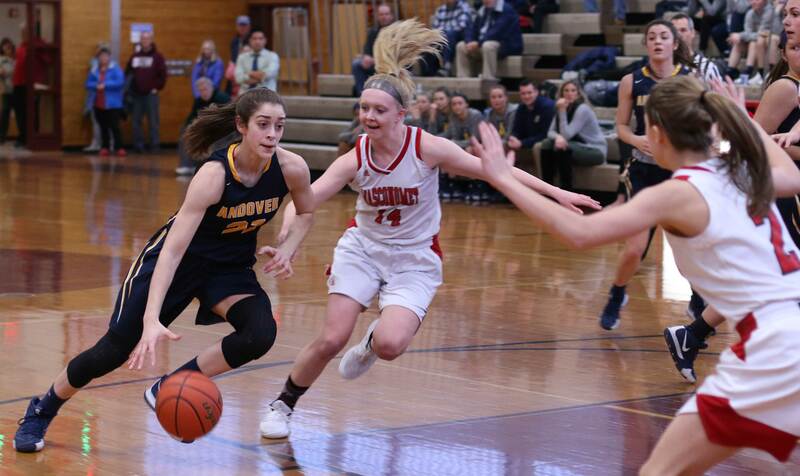 (Boxford MA) Andover’s Gia Bramanti came alive in the final four minutes and led the Warriors to a, 45-41, win over Masco on Sunday afternoon. Who could argue? 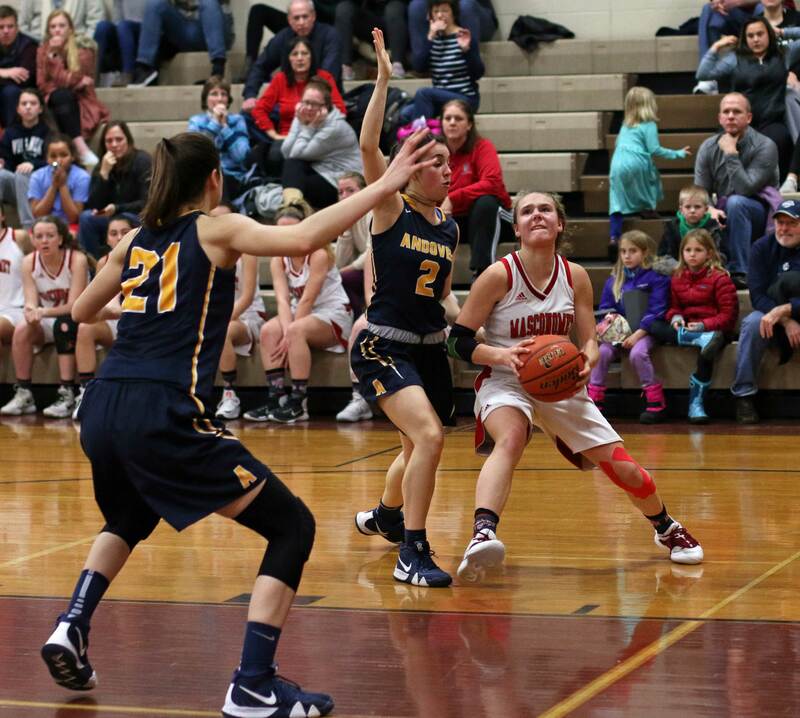 The 6-1 senior shouldered the scoring load for AHS after Tatum Shaw’s 3-pointer put the Warriors close, 35-34, with 3:48 left in the non-league contest. In the next 2+ minutes, Gia put five points on either side of a Morgan Bovardi triple and the visitors pushed ahead, 44-38, with 1:39 remaining. 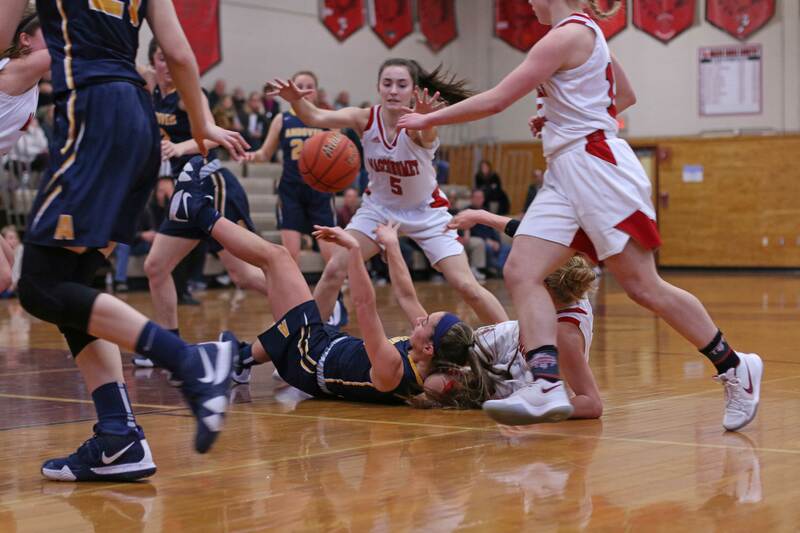 Masco had enough possessions thereafter to catch up, but the Andover defense wouldn’t allow it. Gia paced the Warriors with nineteen points. 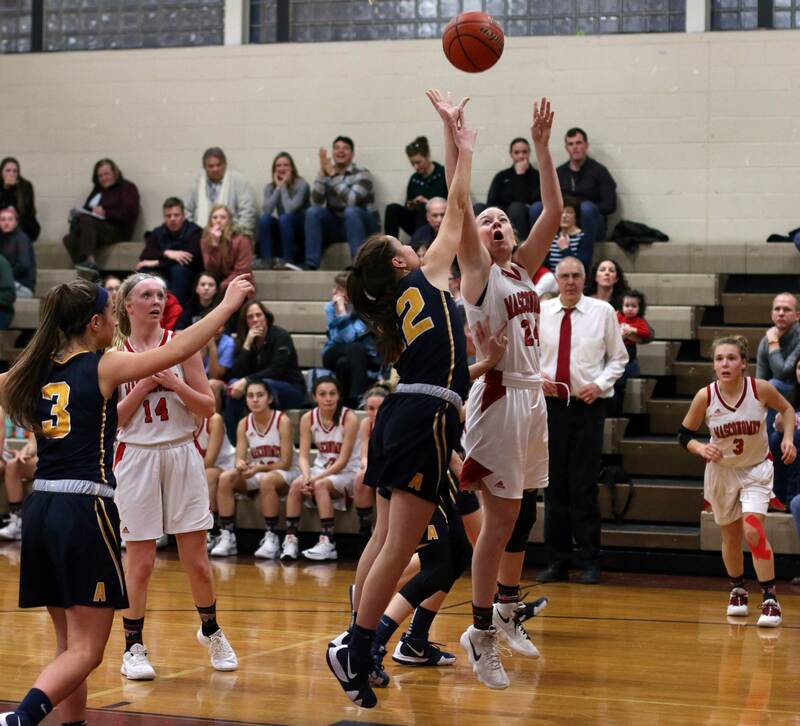 Morgan Bovardi led Masco with seventeen points. 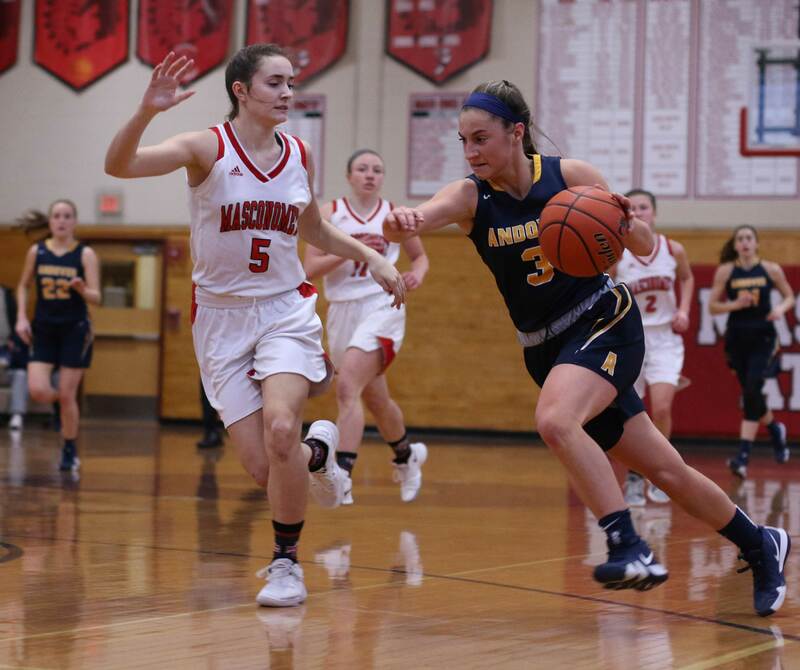 Gia Bramanti turned out to be the shooting star at the end but for almost three quarters the Masco defensive combo of Marissa DeLucia and Cally McSweeney limited her to six points. 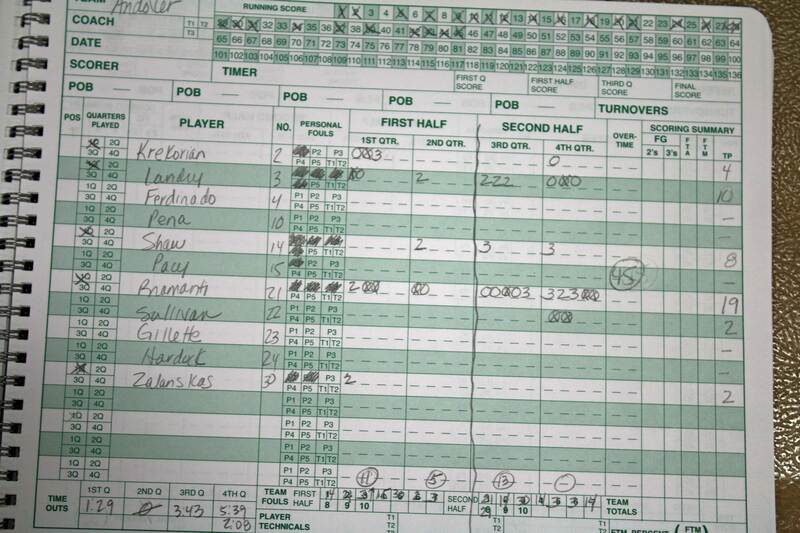 But then in the final seconds of the 3rd quarter, Gia drained her first three as the quarter ended tied at 29-29. This game had six ties and six lead changes. 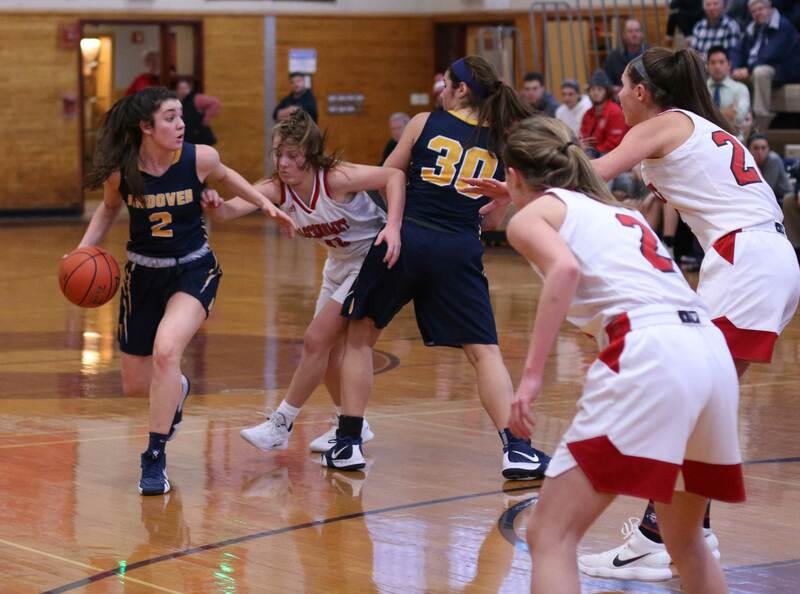 The Chieftains (10-4) went up by seven (21-14) in the second quarter, eight (24-16) in the 3rd, and six (35-29) early in the final quarter. 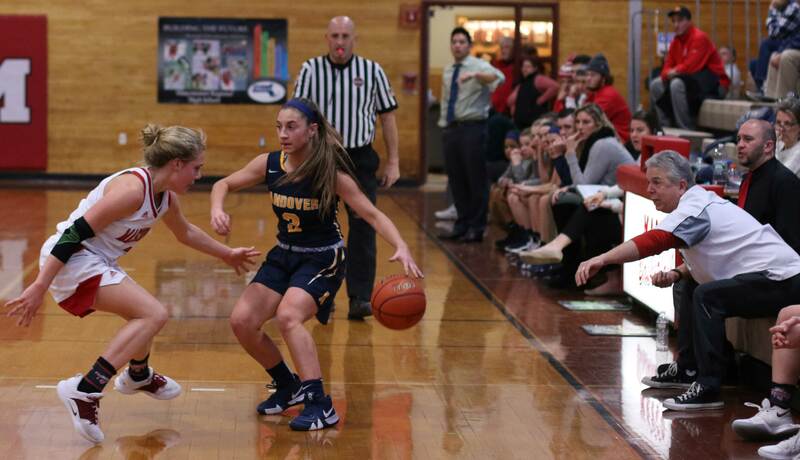 Sophomore Morgan Bovardi (17 points) had a part in each of the Masco point surges. Andover, however, was always able to put streaks of offense together and recover. 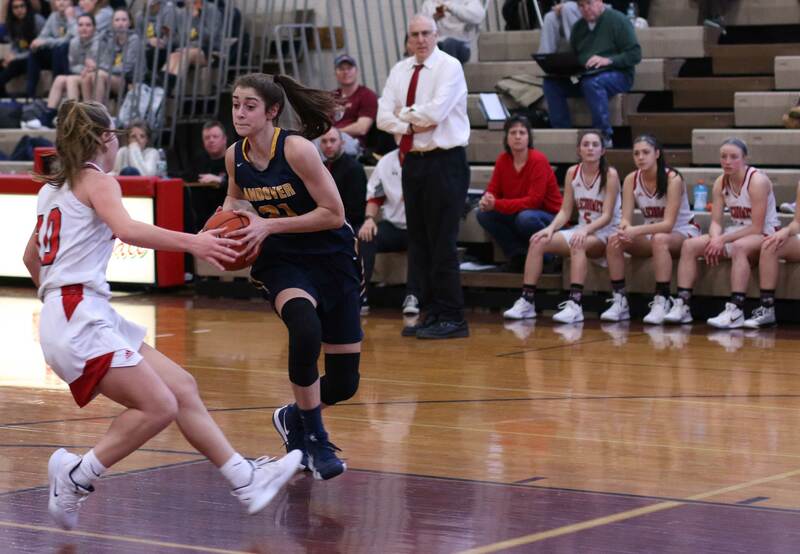 They put eight straight in place in the third (two drives Taylor Landry, free throw Gia, triple Tatum Shaw) and ten unanswered in the fourth (two free throws Sarah Sullivan, triple Tatum Shaw, triple & layup Gia Bramanti). A key to the Warriors’ win? 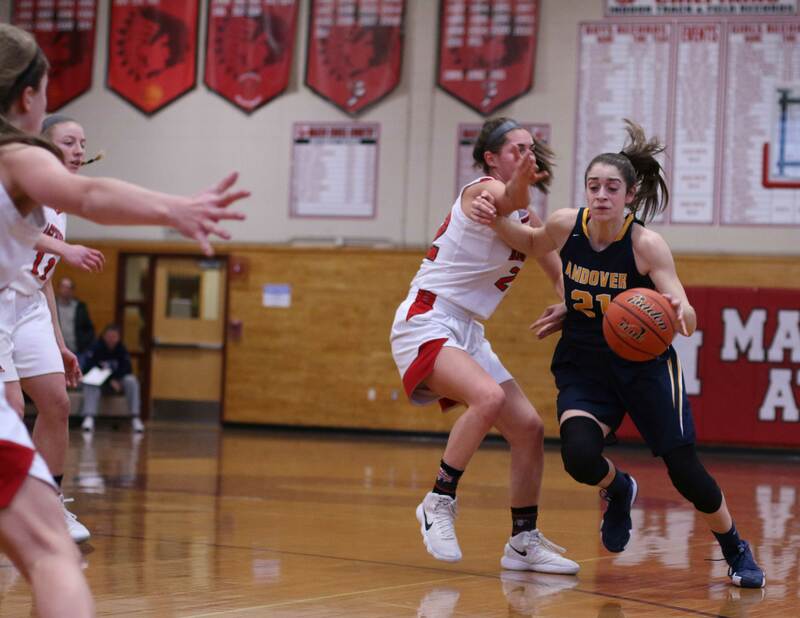 The defensive job junior Shea Krekorian did on Masco’s top scorer, Mak Graves. 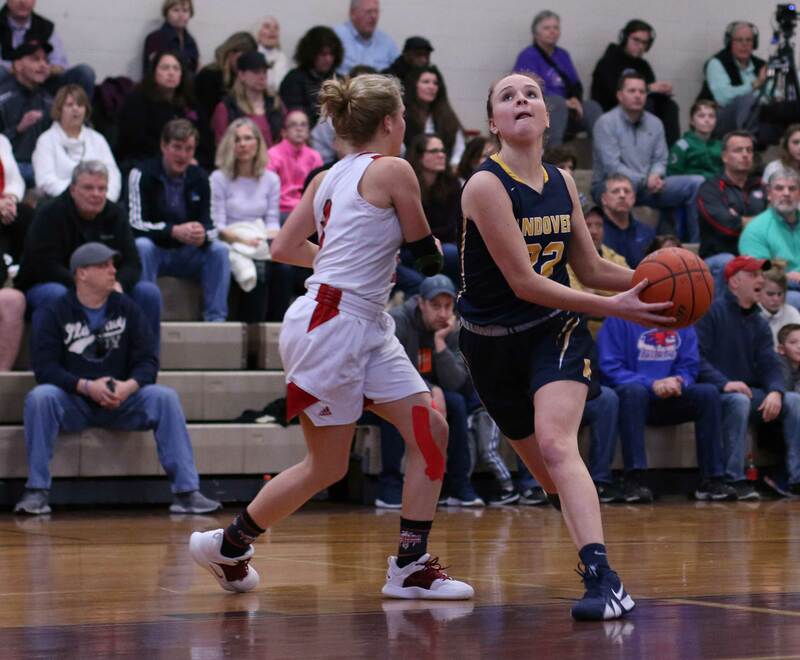 Mak averages fourteen points per game and had two 3’s in the first quarter and a layup in the first two minutes of the second quarter. After that? Nothing. The Warriors showed a zone defense in the last quarter. Normally Masco’s shooters make that into a bad idea. “Our shooters can make outside shots but Mak and Morgan need space and their defenders had length,” said Coach Romeo. 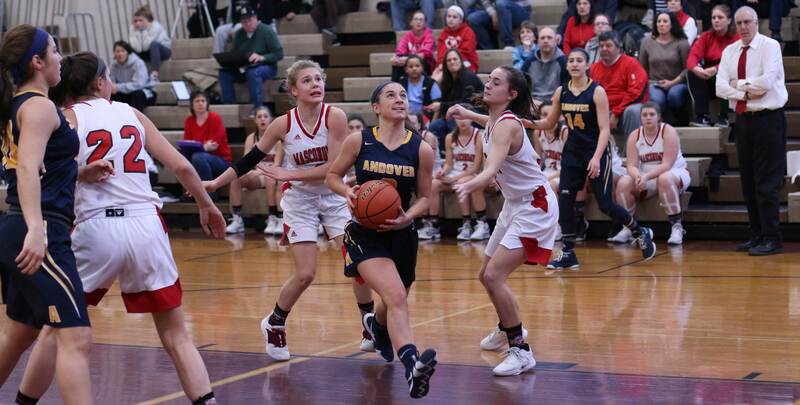 Andover’s thirteen wins give them more wins than any other team in Division 1 North. 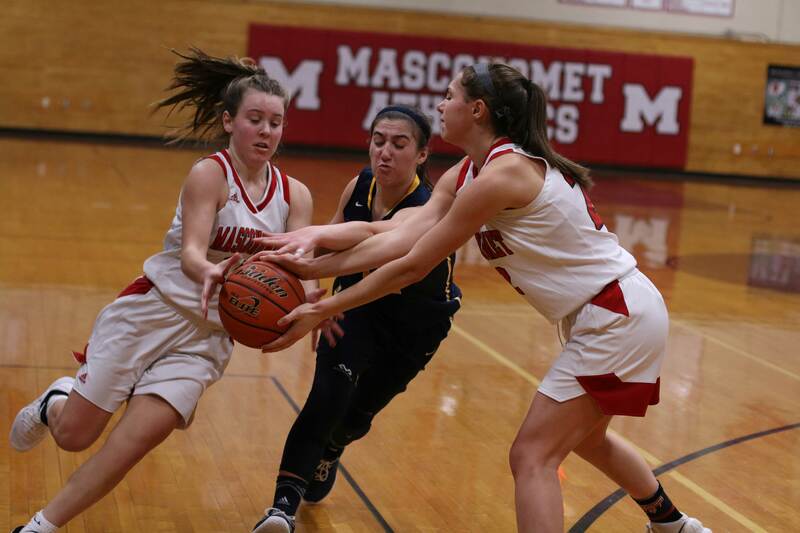 Masco, also in D1, has already qualified for the post-season. Plenty of D1 coaches in the crowd getting a look at two possible tournament opponents. 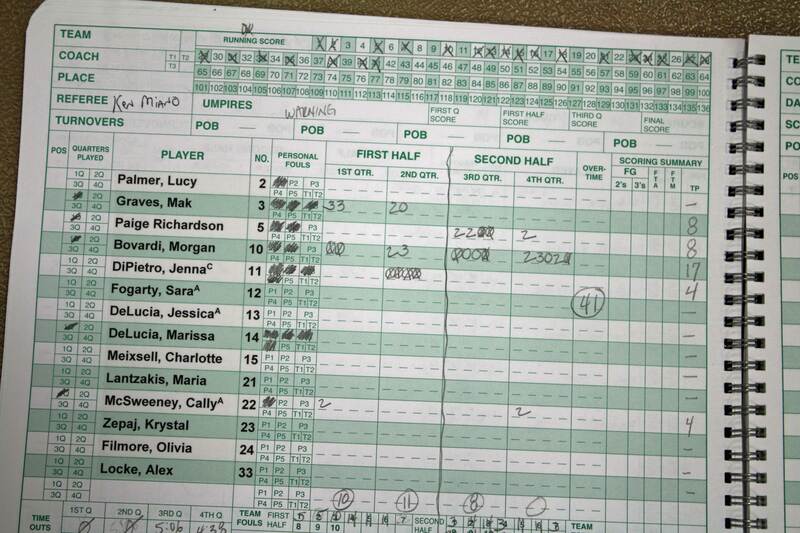 Taylor Landry scored ten for Andover and Tatum Shaw added eight including two 3’s. Paige Richardson and Mak Graves each had eight for Masconomet.